U.S. home prices rebounded strongly in 2013, up 11.3% compared with a year earlier, according to a closely watched index. The jump in prices came even as the housing market softened in the last quarter of the year. "The S&P/Case-Shiller Home Price Index ended its best year since 2005," says David M. Blitzer, an S&P spokesman. "However, gains are slowing from month-to-month and the strongest part of the recovery in home values may be over." 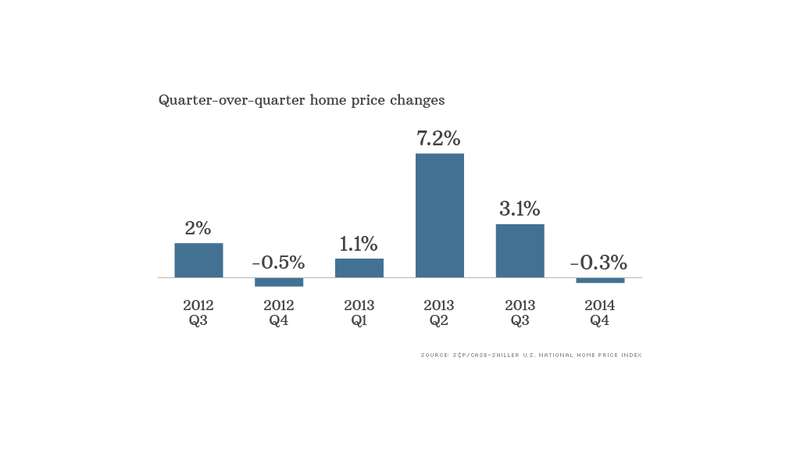 Prices were up 11.7% in the first nine months of 2013, but fell 0.3% in the fourth quarter. Prices are still down nearly 21% from their peak set in the second quarter of 2006. And the latest housing news has been bad. January existing-home sales fell to an 18-month low. And home construction in January recorded the biggest month-over-month drop in seven years, sending builder confidence down to its lowest level since May. The sale of new homes has also declined, falling 7% in December, the most recent month for which data is available. 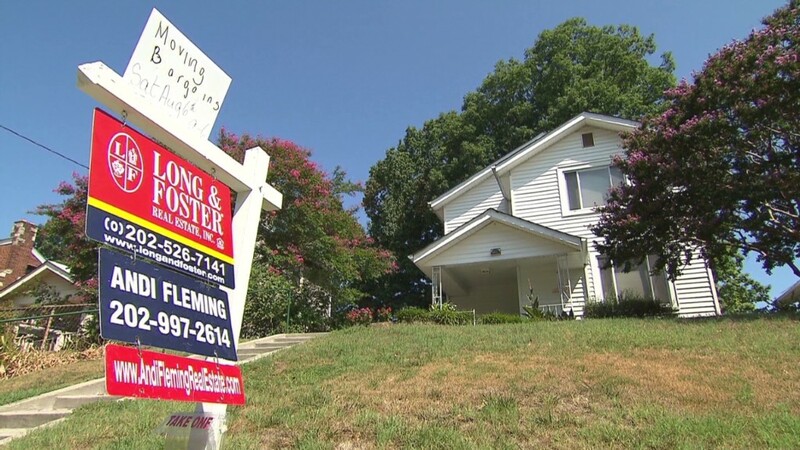 In another blow to the housing market, mortgage rates jumped after Fed chairman Ben Bernanke hinted in June that the central bank would reduce its economic stimulus. Tapering officially began in January. Rates for a 30-year mortgage are currently at 4.33%, after averaging 3.55% earlier last year. "That took the air out of the market," said economist Dean Baker, a co-founder of the Center for Economic and Policy Research. For Baker, this breather is not entirely unwelcome. "Prices were rising so rapidly in the first half of 2013 that it had me worried," he said. "Some markets were up 30% or more, although they were mostly ones that had been badly beaten down in the bust." Economist Robert Shiller, who co-founded the index and won a 2013 Nobel Prize, said that he expects to see gains in 2014, "but not like last year." The slowdown could help house hunters. "We should see buyers gaining a bit more leverage this year, with more choice and less competition," said Stan Humphries, chief economist for Zillow. "This slightly more balanced market is another step on the road back to normal." All 20 cities in the index recorded year-over-year gains. Las Vegas posted the strongest comeback, with a 25% jump in prices for 2013. But Sin City still has a long way to go; prices are still 45% below their high. San Francisco and Los Angeles also posted gains of more than 20% in 2013, but prices in both cities also remain more than 20% below their peaks. High unemployment continues to hurt housing, according to Lawrence Yun, chief economist for the National Association of Realtors. "The desire to own a home is still there," he said. "But the capacity to own has not been there."